View the menu pdf here. This week we have been enjoying the endless sunshine and spending as much time as we can outside. We have also been getting stuck in exploring baby lotion, crazy soap and damp sand – a sensory sensation! We also had a really fun time on Thursday dressing up for our “difference day” – it was great to see so many different cultural outfits. Next week we will be starting to update our displays and getting marvellously messy! We will also be continuing our sensory play as ever as it is such an engaging and important part of the babies development. This week we have been changing a lot of our displays, we now have a lovely seaside as well as bright and cheerful caterpillars dotted around our room! It has been very hot this week so we have been in the garden exploring lots of water play to try and keep cool! The Butterflies have also been playing with our new caterpillar number game which we had such fun making. We are really excited about cooking some fairy cakes next week as well as enjoying lots of messy sensory spaghetti play! This week we have had lots of water play, washing baby dolls, pouring water and cooling down! We have been exploring the garden taking lots of activities outside with us. 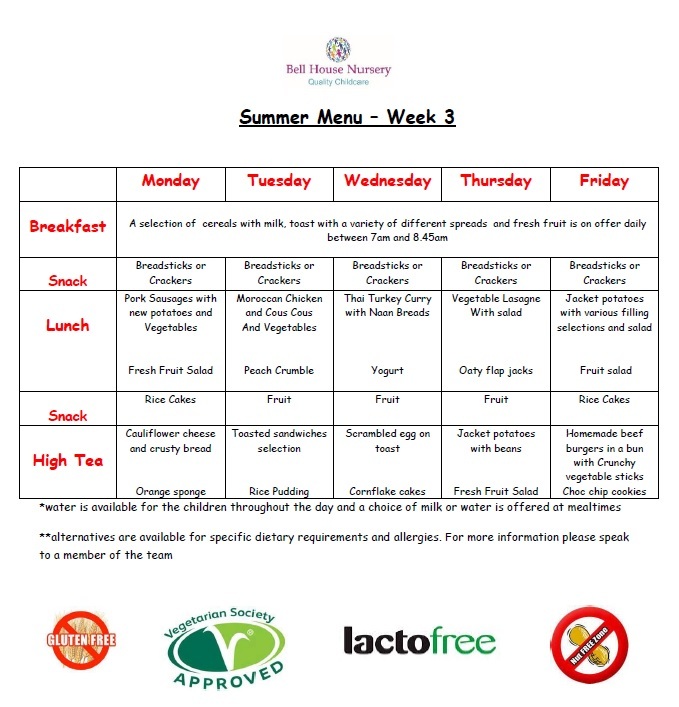 This week we have also changed our book of the month to “Daisy eat your peas” and to go alongside we have been talking about our most and least favourite foods and we made our own dinners! Next week we will be getting stuck in with lots of messy play!! We are also planning on getting creative in the kitchen and producing some yummy treats. This week we’ve had lots of fun! We made a lovely patchwork Elma from one of our favourite books as well as spending a lot of time talking about how we are all different. We celebrated our differences and learning about different cultures in our “difference day” on Thursday – lots of the dragonflies dressed up and we had a wonderful representation of different cultures in the room! We are also proud of the beautiful leaf rubbings we created this week as well as having fun bubble painting, making telescopes and binoculars. Next week the letter is X and the number is 21. The colour is yellow and the shape is oval. We are really looking forward to creating volcanoes in our coke and mentos experiment (always a favourite with the children!) We will also be getting creative making masks of our favourite animals and making our own puzzles. We will also be looking at story structures and exploring The Rainbow Fish, discussing themes in the book of kindness and happiness of sharing – we are also planning to make a lovely display around this. As you will have seen from the posters around nursery, tomorrow we will be having a cultural diversity day!! We are really looking forward to engaging the children in learning about different cultures and lifestyles. Don’t forget to bring your little ones in dressed (or at least in a hat) from a different culture – it should be a great day! This week we have been doing lots of splatter painting and making glitter stars for our Twinkle Twinkle display. We have been meeting lots of new Ladybirds who will be excitedly starting in a couple of weeks! On Thursday next week we will be dressing up and representing different cultures – don’t forget to bring in your hat! The week will also be filled with lots of messy play, sensory stimulation activities and as much time spent in the fresh air as possible! It has been a very creative week in Butterflies this week! We made a farm and had lots and lots of fun tyre and duplo printing! We also got fully immersed in painting our hands and feet – a wonderful creative and sensory experience! We will be changing our displays next week so keep an eye out for some of our little one’s wonderful work! Getting stuck into some baking is also on the agenda next week (with The Great British Bake Off starting!) as well as going on some walks to the park – fingers crossed the rain stays away! This week we have been making a seaside display and have enjoyed talking about the beach and going away on holiday. 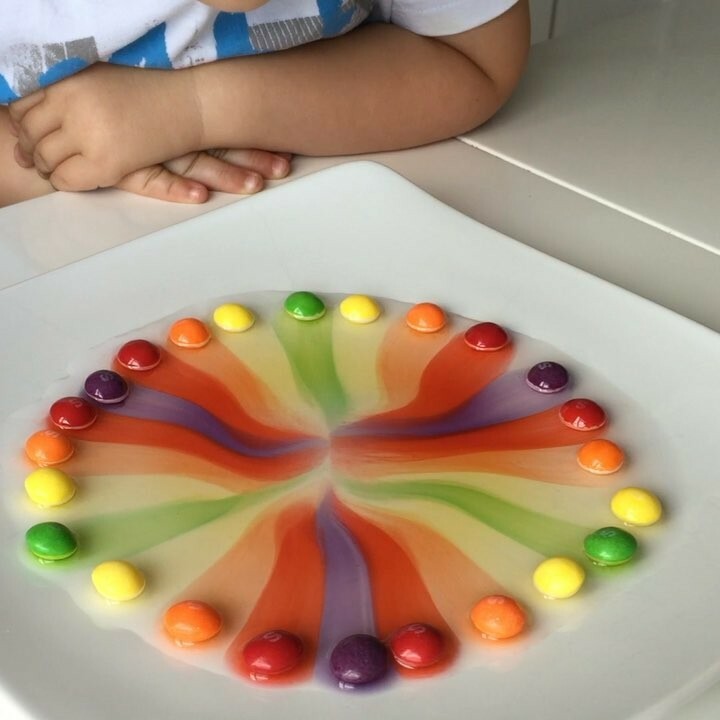 We also had so much fun conducting a Skittles and water experiment to engage the children in learning about colour – we will post how we did it for you to try at home too! We have also been learning about different fruit and vegetables with fruit printing fun and food focused games! Next week we are excited about developing some physical skills by having fun on the balance beams. We are also looking forward to getting creative in the kitchen and making some yummy baked goodies! On Thursday we will be celebrating different cultures so please bring in hat or headdress from another culture for us to talk about! This week we held our own mini Olympics which included long jump, tug of war, egg and spoon races and a sand castle competition. In the classroom, we have been looking at colour mixing and exploring different textures with our hands. We also looked at aeroplanes on our super smartboard and then making them with our junk modelling! In the garden, we have loved exploring balloon painting and water painting as well as spending lots of time on our favourite climbing frame and building our own cars! The letter next week is J and the number is 20. The colour is green and the shape is a crescent. We will be getting creative next week making binoculars to helps us find insects in the garden. We are also looking forward to blasting off with our rockets we are making in junk modelling and creating our own train tickets that lets us board the Bell House bubble train out in the garden! Carrying on with our Olympics theme, we are going to host our own high jump competition as well as having lots of fun with ball games. We will also explore a variety of painting techniques using a multitude of different props! 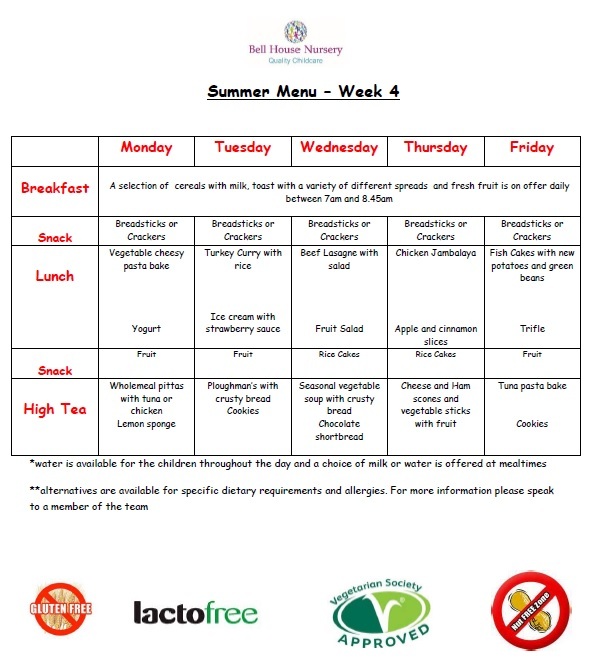 Next week we are welcoming some new little Ladybirds so will be having lots of activities to make them feel settled and at home. 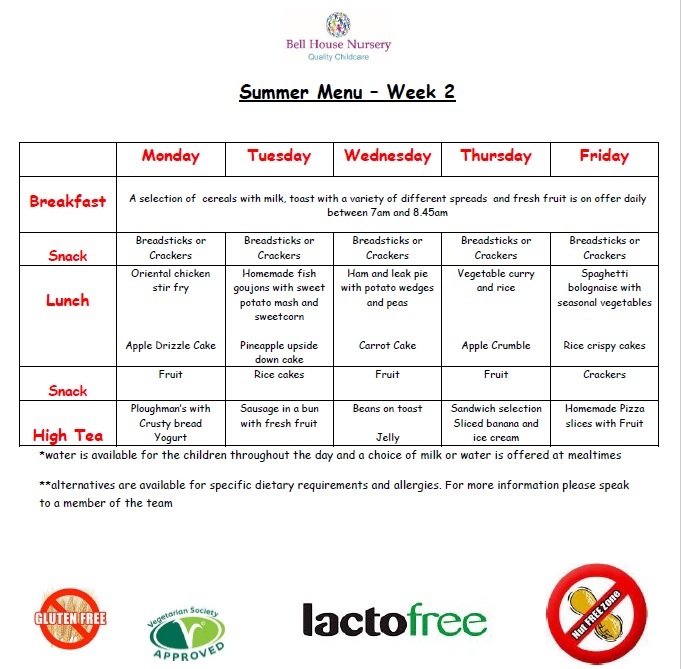 We are really looking forward to cooking up some yummy nutritious treats next week too! This week we have said goodbye to some of our Butterflies as they have fled the nest and moved into Bumblebees room – we are very proud of them but will miss them a lot! We have also been very busy making handprint insects this week and learning a bit more about insects, especially as we have been spending a lot of time out in the garden and on walks! 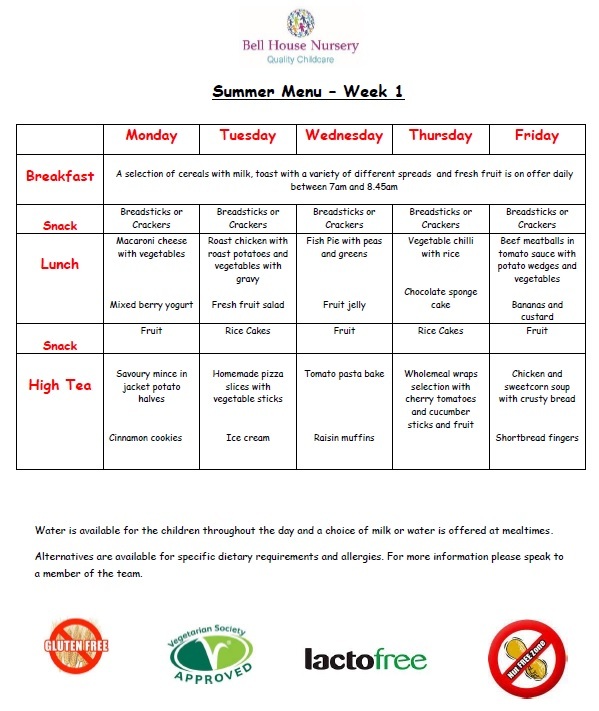 We are really looking forward to our cooking sessions next week and to decorating some tasty treats! There will also be a strong focus on physical development as well as plenty of sensory fun with messy play! This week we have welcomed for new fish friends into our room which has been hugely exciting! We have also been painting our own fish tanks for a wonderful display. We held our own Olympic races this week too and awarded the children gold medals for their efforts! It’s been a fun week in Dragonflies; making treasure maps, learning about the Olympics, taking part in parachute games and playing our rhyming card matching game! Outside, we made our own perfume with lavender and mint from the garden and we’ve also had fun with water fights, painting pebbles with some beautiful patterns from mixing the colours. Next week the letter is J and the number is 19. The colour is red and the shape is hexagon. We can’t wait for our egg and spoon race as part of our mini Olympics and will be making trophies too! We will be getting creative with fly swatter painting to create some interesting patterns and we will also continue to look at different countries and their flags. Don’t forget!! We would love to see you tomorrow for a picnic in the park – 11.30am at The Bandstand. All you need is yourselves and your picnic and fingers crossed the sun stays out! Reminder – Picnic in the park this Saturday! We would like to invite all our children and their families to join us for a picnic in the park by Godalming bandstand on Saturday 13th August! We hope that this will be a great chance to meet other families and staff and have some fun too! All you need to bring along is yourselves and your picnic and we’ll see you there at 11.30am!